Water treatment plants are responsible for sampling their water quarterly for trihalomethanes (THM). THM are a group of four chemicals that are formed along with other disinfection byproducts (DBPs) when chlorine or other disinfectants used to control microbial contaminants in drinking water react with naturally occurring organic and inorganic matter in water. Most plants send out their sample to an external lab where it is measured and results are returned two to three weeks later. 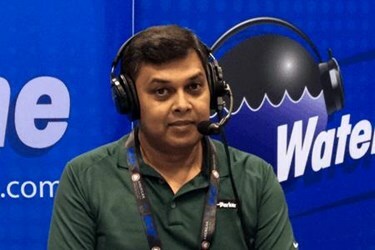 As Kazi Hassan, Technology Development Manager with the Parker Hannifin Corporation explains in this Water Online Radio interview, that creates a situation where water with high THM formation, a known carcinogenic, could be pumped to your consumers for two to three weeks before being addressed.